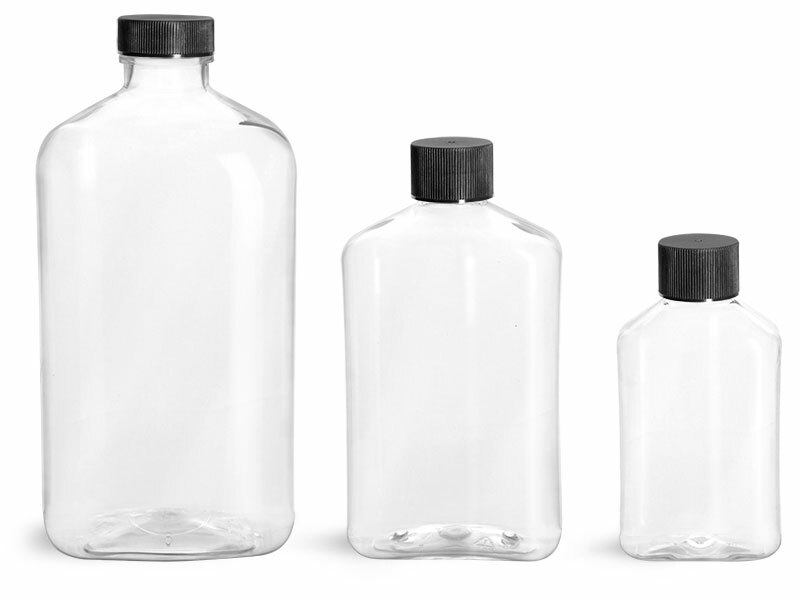 SKS provides clear PET bottles in round and square shapes for CBD infused drinks in the form of smoothies, iced teas, energy drinks, and juices. 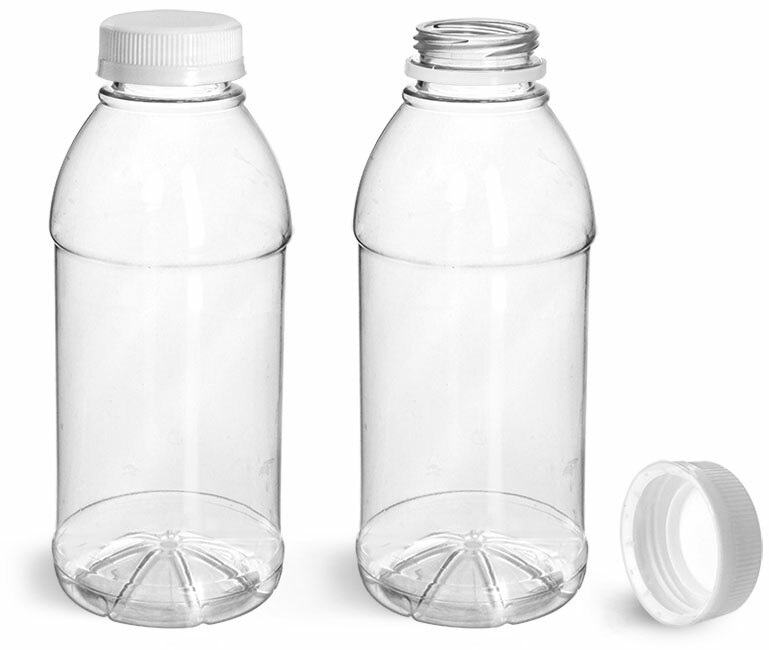 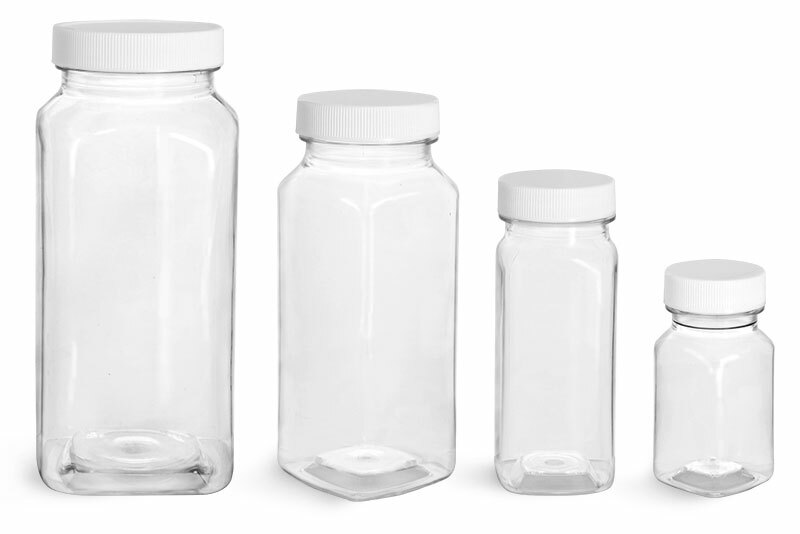 The clear PET bottles have white tamper evident caps, which leave a ring around the neck of the bottles after opening. 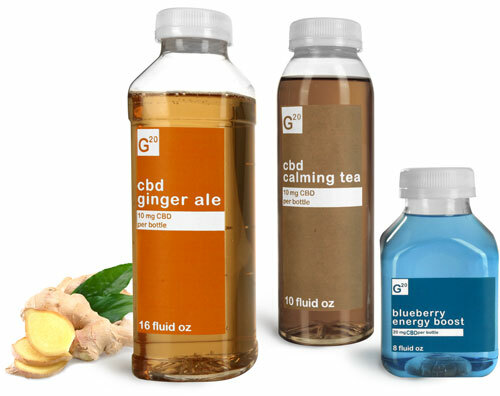 All of the clear PET bottles and white tamper evident caps are FDA approved, so be sure to test with your CBD infused drinks today!